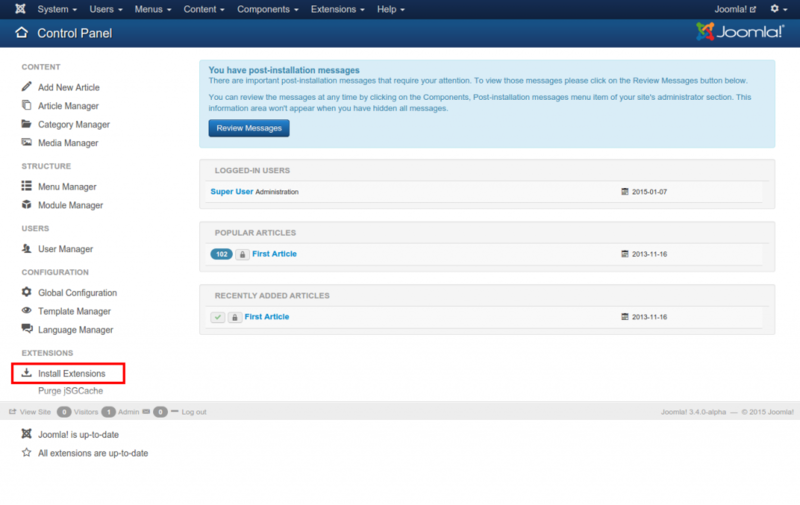 Joomla is one software that is easy to install and use. It is in fact available as a free download from their website. Being open source it can also be modified as you please. This makes it the right open source software for you to use while making just about any kind of website. It could be blog, a content management system, an ecommerce website, even a magazine or a social networking website. Joomla can be customized to suite just about any kind of website. If you are not very IT savvy you have the option of hiring a Joomla Web developer to help you out with the task of installing and setting the website for you to use. In fact Alakmalak is one such Joomla development company that can help you out with those tasks and more. However if you wish to do it yourself then this article can provide you will all the information you need to get started. To start with you need to download the Joomla files. The files are available from Joomla’s website itself and can be downloaded with ease. You do have the option of selecting either the 2.5.x version or the 3.x.x version. There are two different versions offered by Joomla and you can pick one depending on the features present on your web server. Joomla version 3.x.x requires the latest PHP version to be installed besides other things. • To start with upload the compressed file onto your server via FTP. You will need to first login to the FTP server of your website in order to do that. • If your server control panel does not possess the feature which allows you to uncompress files you may have to upload all the files individually rather than uploading on compressed file. • Once the files have been uploaded you need to login to the control panel of you website hosting. • Navigate to the file manager and un-compress all the files if required and possible. • Now look for the database section in your control panel and create a database. You will need to keep a note of the name of database , user and password for your new database. • With the database all setup, it is time to now run the installation from the browser. This is a many step process during which the installation will ask you to enter a lot of information like the site name and description. It will also ask the access information like admin email, username and password, the preferred language etc. • There will also be a section where you will be prompted to enter the database configuration, like database type, host, username, password, and database name. It is a good idea to change the table prefix option to something random ( a security precaution). • It may be a good idea to install sample data as well when prompted. If you are fairly new to Joomla this will provide you with a nice guideline as to how to set up your website. • Once the installation process starts after taking all this information you will be requested to remove the installation folder. Joomla is now installed and read to use. • You can now give both the admin and the user side a quick look and then move on to installing a template. • Joomla would have selected a default template to start with. You have the option of changing the template by either downloading a new one from the internet or getting on custom built from a Joomla web developer. • Here you can upload the package and once it has been uploaded it will automatically install. • You also have the option of manually installing it via FTP however that is a slightly harder process. • Once installed the template needs to be activated from the template menu in the same section. You are all set to go now with a new website and a new template that can be customized to make any kind of website as discussed at the start of this article.